With a strong history in creative writing and art, I think Ariga really would be the right guy to fill Inafune's shoes. He reminds me of someone from an Osamu Tezuka manga. I'd love to see him working on DASH 3, hehe! If I remember correctly, he said once that it was his favorite Rockman series after classic! @Jez: Ariga working on DASH3?! A manga of the cancelled game which tells us what happens?! 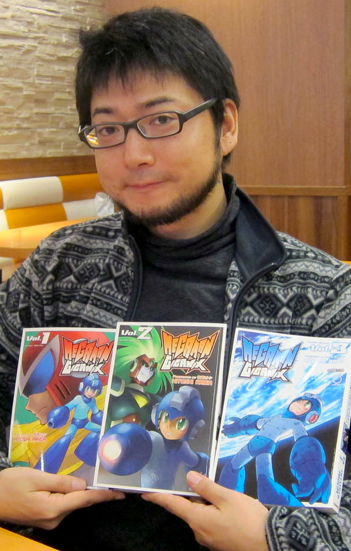 Hitoshi Ariga gets it: "without a beard you will never win"